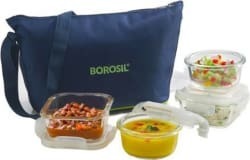 Flipkart.com: Buy Borosil klip N store glass daisy tiffin set of 4(2pc 320ml square, 2pc 240ml round container) 4 Containers Lunch Box only for Rs. 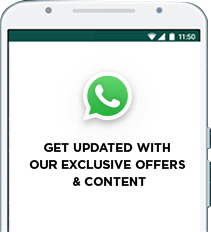 1280 from Flipkart.com. Only Genuine Products. 30 Day Replacement Guarantee. Free Shipping. Cash On Delivery!